Hotel 10 looks forward to welcoming you as you tour Montreal and experience the city. 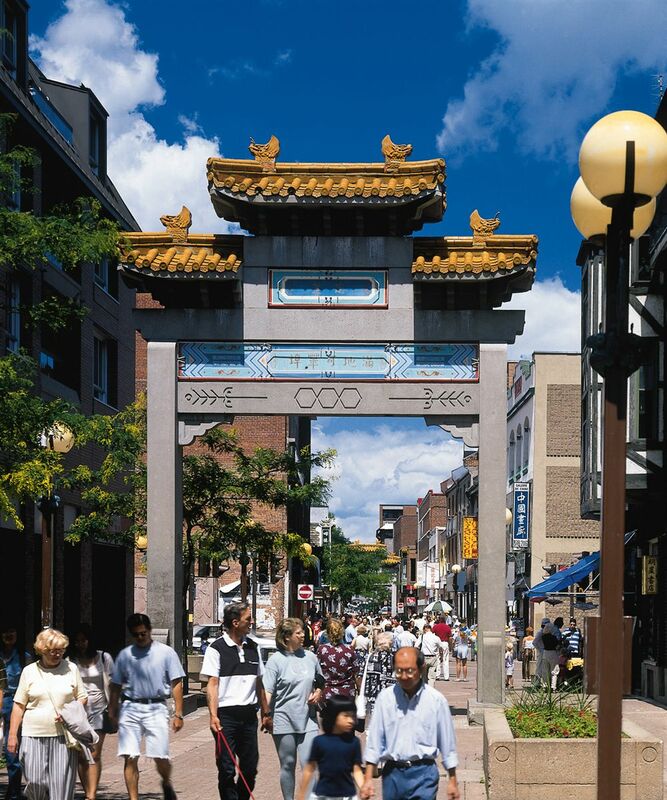 Make our hotel your choice among Montreal hotels near Chinatown and experience everything that this historic community has to offer. Located on the intersection of St. Laurentand Rue de la Gauchetiere, the heart of Chinatown has limitless opportunities to shop and dine. You can find numerous Asian markets selling fresh produce and fish, as well as shops containing unusual and unique keepsakes. Step into one of these tiny souvenir, gift, or tea shops and purchase something memorable. From fine tea sets and crafts to lovely clothing and china, you can find everything in Chinatown. Looking for Authentic Asian Cuisine? This fascinating community has a long history of settlement, growth, and roots dating as far back as the 1880s. Founded as a mainly Jewish community in the 1880s, the area soon saw a growth of Chinese immigrants settling in the neighborhood in the 1920s. Chinatown makes a bustling and exciting addition to Montreal's atmosphere.